When you first publish your paperback or Kindle ebook on Kindle Direct Publishing (KDP), you only get the chance to enter the essential but basic details of your book. Your book sales page will include your cover and book description, but it will be unformatted and very plain. Many authors don’t realise that there is so much more you can do to enhance your book sales pages on Amazon. Publishing is one thing but making a book sales page stand out and work for you to help you sell books in another. Amazon Author Central pages are a crucial part of book promotion and marketing and improving your author brand. Books published by traditional publishing houses always have enhanced Amazon Central book sales pages. The same tools are available for self-published authors, and they are very easy to use. Do you have a “Follow the Author” button on all your book sales pages? If you don’t, you are missing out on an excellent book marketing tool and an outstanding chance to connect with readers and give them more information about you and your books. All you need to do to get this button is to open your Author Central account. You can usually use your KDP account or your Amazon account login details. Now you can create your author profile. Once you have logged in you can start setting up your Author Central page. Click on the “Author Page” tab. Here is where you can add a lot of details including your author bio, photos and book trailer videos. One immediate benefit is that you can add your blog feeds. Anyone who follows you on Amazon will be able to read your latest blog posts. You can also add upcoming events. It is a little bit like social media but without any hassle. Make a note of your Amazon Author Central page URL and use it in your book promotion activities. The next step is to the “Books” tab. You should see a list of all your Amazon books in all versions; Kindle books, paperbacks and audiobooks. If you don’t see a book listed, click the “Add More Books” button to claim your book. If your book is only very recently published, you might get a message saying, “please try later”. But if you can find your book, it should appear in your list in about 24 hours. Once all your titles and versions are in your book list, it is time to get to work. For each of your book versions or editions as Amazon calls them, there are detail pages where you can modify your book description, add reviews and place additional information on your sales page. Yes, you can add book reviews to your Amazon sales page by using Author Central and be sure that your book reviews will not be deleted. Click on the tab “Editorial Reviews”, and you will come to a page as in the image below. Although it is called Editorial Reviews, it is, in fact, an editing screen for your Author Central page and your Amazon book sales page. There is so much you can add to your sales page here. But why add all this information? Because every word you add is increasing your Amazon search possibilities. Every word, or if you are into SEO, every keyword you use will become searchable words and phrases used by buyers on Amazon. Imagine if someone is looking to buy terracotta pots, and you have this phrase in one of your book data fields, there is a good chance your book page will show in the list of results. So yes, your Author Central page is very important for you. For each section, there is an edit button. Click to open the edit screen. You will see a WYSIWYG (What you see is what you get) text editor. When you add or paste your text, you can style it a little by using bold, italic or make a bullet or numbered list. However, you can do so much more if you learn to apply some very basic HTML to your text. Click on the “Edit HTML” tab, and you will see your text with what is called markup. You don’t have to learn all about HTML. All you need to know is how to add or edit the code that is within two arrows, like this <>. One is before the text you want to modify, and one is after. They are the same except that the closing code includes a backslash, like this </>. So if you want to make a line a large heading, you can use H tags, H2, H3, H4. You can’ t use H1 though. To make an H2 header line; it will look like this. <h2>Here is my headline</h2> It will then look like this on your sales page. If you want to put extra space between lines, you can use the break command. You can see all the codes that Amazon accepts by referring to its page on Supported HTML for book descriptions. Once you have added and enriched all of your text fields, wait 24 hours, and you will see your new formatted text on your Amazon book sales page. You will also see the editorial reviews you have added, about the author as well any other information you completed such as inside flap or back cover. It is so easy for every book publisher to improve a book sales page and add valuable information for potential book buyers. You will need to edit each version of your book. Yes, a bit of a pain, but it is worth it. The easiest way to do it is to complete one version, say your Kindle book. Then copy the HTML content of each text box into a text editor like TextEdit or Notepad. But make sure you save your file. There is another use for your text coming later in this article. When you come to edit your paperback, simply paste in your coded text. But there are more ways you can use Author Central. Amazon Author Central is not very central, unfortunately. You need to do a little extra work for international markets. You can have international author pages for Amazon UK, Germany, France and Japan. This is a fantastic way to extend your sales by reaching new readers. Yes, there are a lot of people who read in English outside the US and UK. For instance, go to https://authorcentral.amazon.co.uk/ to create your UK author page. Another way is to go to your book on Amazon.co.uk and click your author name, just below the title. That will tell you if you have an author page, and if not, ask you to set one up. Set up a new Author Central Author Page for each country. Remember the text you copied and saved? This is when it really comes in useful. Just paste your text into the appropriate sections of your book details. 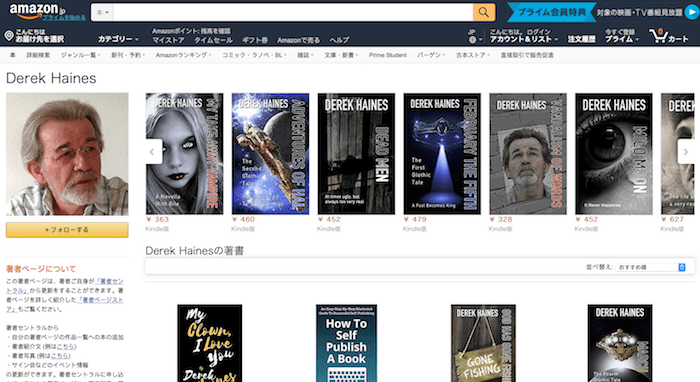 It made it much easier to create my author page in Japan. If you are not using your Amazon Author Central page to help increase your book sales and your sales rank, you should be. Having an author page on both Amazon US and UK is a must, but the other countries can help too. It doesn’t take long to make your sales pages far more appealing. The publishing industry and selling books is tough, so every little lever you can pull will help you. There is one last bonus to having an Author Central account. You will have access to much better sales info data including NPD Bookscan, Sales rank by title and version and your overall Author ranking. So, what are you waiting for? Use Author Central and all of its tools to help you reach more readers and sell more books. This was so amazing. I will definately use this information to the best of my benefit. Thank you very much. I keep stalling at the final hurdle trying to set up the Japanese author central account and it won’t work for some reason. I am led to believe that my publisher has to verify with amazon.jp my email I have notified them of this but not been updated regards the result. That is assuming why I can’t? set up the Japanese Amazon author central account. Am I missing something else perhaps in order to set it up?